LVLY has become the Uber of the gift giving world, growing exponentially since its inception in 2015. It’s now on track to reach $3.5m worth of sales this financial year. 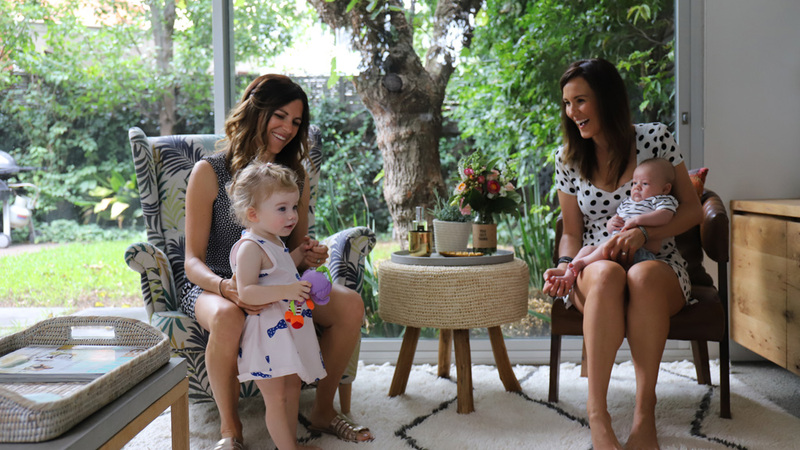 LVLY is now the only Australian personalised gifting service with a national presence across Melbourne, Sydney and Brisbane. 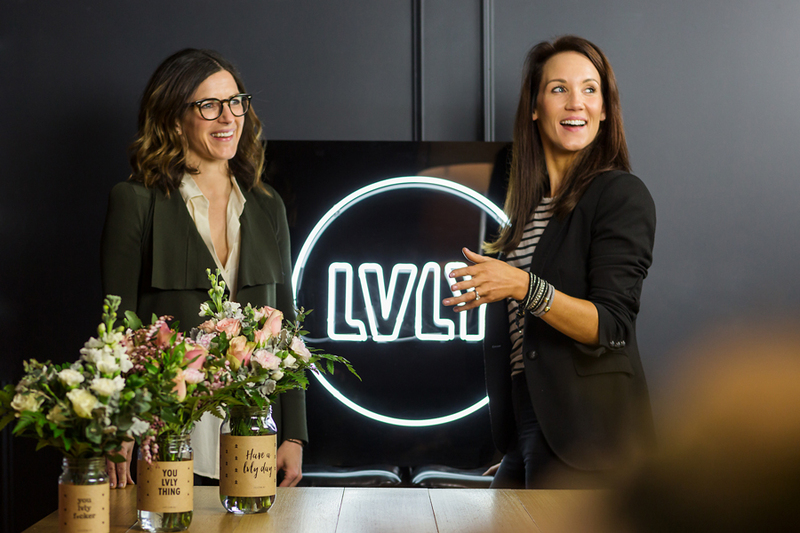 We sat down with Premium member and co-founder of LVLY, Hannah Spilva to talk growth, challenges and how they came to be one of the 8 Australian companies selected to participate in the Silicon Valley backed Springboard Program. You started LVLY with co-founder Verity three years ago. What were you both doing before LVLY? Verity and I both worked in the advertising industry for about 10 years before launching LVLY. I started my advertising career at McCann Erickson in the UK, where I’m from, and quickly found my niche in digital working on brands like Adidas and Motorola. I lined up a transfer to the Sydney office and eventually joined one of Australia’s largest digital agencies, Isobar, as Strategy Director. That’s where I crossed paths with my LVLY co-founder Verity! 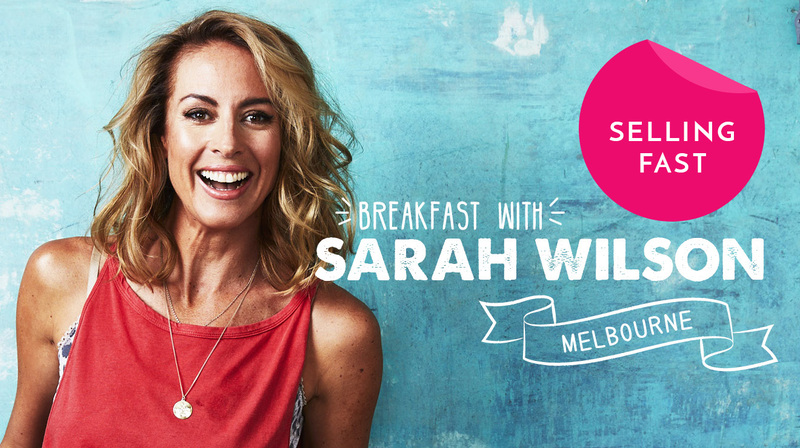 We had a blast working together on retail accounts like David Jones, UNIQLO and Kmart and we even shared a brief stint as housemates before shacking up with our husbands. I loved every single moment of working in the creative industry but I feel like LVLY is what I was always meant to be doing. It’s funny looking back because from the age of 14, I used to tell my parents I wanted to start my own company and move to Australia. They always thought it was a ‘teenage phase’ and yet here I am. LVLY is such a genius idea, where were you when you came up with the idea? Thanks for the compliment! 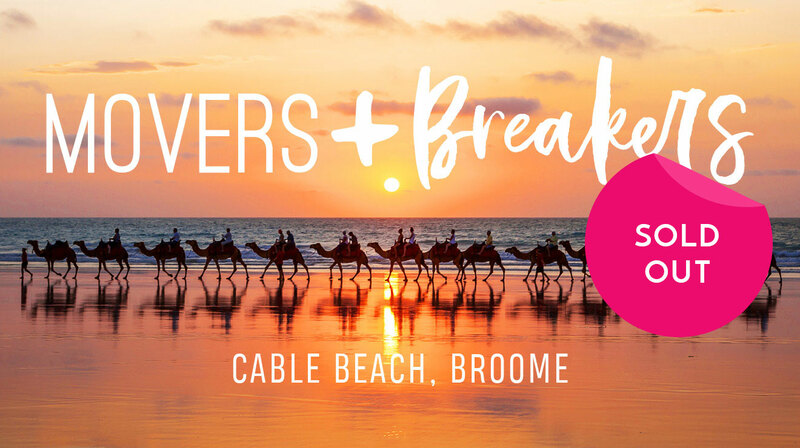 We were both living away from home (in Sydney) and were struggling to find ways of spoiling/ connecting/ reaching out to our family and friends across Australia and the world. 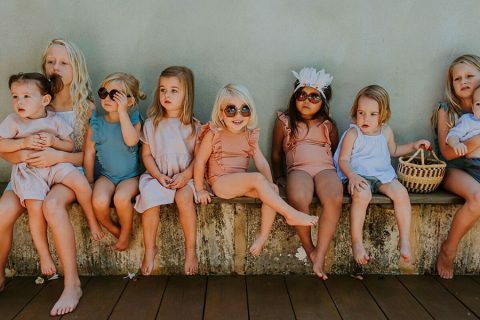 It wasn’t just the birthdays or the big-ticket occasions, it was when your best friend had a bad day or your brother had a massive win at work – those moments that you’d usually be present to share with them, share a glass of wine and hug or high five. Without being physically present, how could we send them something to let them know they mattered to us and that we were still ‘there’ even though we weren’t. That’s when the idea emerged for an affordable flower and gift delivery service that could get some fun, beautiful gifts to recipient’s ‘just because’. After helping launch and develop other business’s brands for so long, we were ready for a fresh challenge and excited by the idea of building our own brand from the ground up. You started the business off a kitchen table, where do you work now? What’s the environment like? Launching from home seems like a rite of passage for any start-up but in our case is was a terrible idea. Saving on rent was a bonus but the floristry business is a really messy one, there’s flower wastage, off cuts, water, insects… poor Verity was living with this mess in her kitchen so it was only a couple of months before we moved into a co-working space called Depo8. We were turned away from a bunch of local co-working spaces because our style of business isn’t a typical fit for co-working – most people put us in the ‘too hard’ basket. Jodie and Erz who run Depo8 were amazing, they were massive supporters of LVLY from the get-go and have always been very accommodating of the hustle and bustle our business creates. We’ll always be incredibly grateful for the encouragement they’ve shown us. What were your first steps to starting the business? 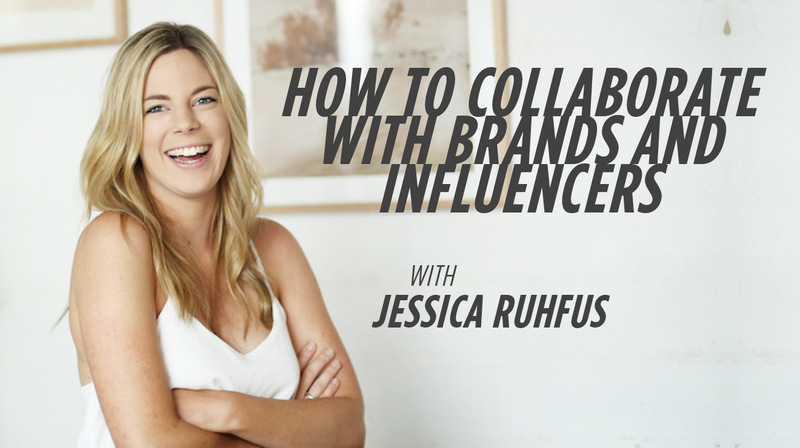 It was pretty simple stuff like registering the URL, trademarking the name, securing our social handles, we built a website using Squarespace, we did a product photoshoot and then pushed it all live to see what happened. Oh and importantly we both did a posy making course because neither of us had any previous experience with flowers! We were very hands on and did everything ourselves, our website and product range was the epitome of a minimum viable product but it got us started. Looking back we had no idea what we were doing! We’ve learned a bit since then. How did you first fund the business? We’ve bootstrapped it ourselves the whole way which has meant using personal savings and borrowing from family. We’ve done a great deal with a small-ish budget which in hindsight has been a positive thing. It means we’ve stayed close to the numbers, scrutinised every dollar and made our personal investment work hard. We’ve built a solid foundation and now we’re looking to raise a seed round of investment to fund our next phase of growth. Talk us through your launch and marketing strategies, how did you get the word out about LVLY? We did a soft launch initially because we wanted to prove to ourselves that we could actually make the same-day delivery thing work. Four years ago we couldn’t find a courier who’d commit to delivering same-day so we had to do it all ourselves. We introduced LVLY to the world via social media channels and through word-of-mouth from friends and family. It gave us enough orders to road test our business but not so many orders that the wheels fell off! About two months in we got covered by Broadsheet and The Urban List and that really kick started things. Not long after, the brands Thankyou and Uber approached us for collaborations and that drove even more momentum. It wasn’t until about two years in that we spent our first dollar on advertising. Did you engage with influencers or dabble in paid social advertising? We‘ve dabbled with paid advertising on Facebook and Instagram but we’ve seen our best ROI on paid search. We still invest a lot of time and money into the content for our own social channels because we have an incredible community who love LVLY and are super engaged so it’s important that we maintain a good dialogue with them. We’ve had some great support from influencers on Instagram and there’s been a handful of occasions when we’ve tested the water with paid posts but results have been varied. We’ve found the best results always come from relationships where there is a genuine connection and mutual admiration. And often when that happens there’s no money exchanged. What have been your biggest challenges in business? There’s been so many and the challenges never go away, they just change shape. Cash is always a big challenge when you’re bootstrapping a company and getting the tech right is a challenge we’re still working on. But I’d say logistics has always been the biggest hurdle to overcome. As one of the first companies in Australia to offer customers same-day delivery, we were making promises and taking risks in a logistics and delivery space that neither of us had any experience with. We couldn’t find a courier business that would support us, so we set out delivering the gifts ourselves which we knew wasn’t scalable. We had to wait about 12 months for the logistics industry to catch up before we could outsource deliveries to a trusted national partner. As we enter our next phase of growth there will be a whole new set of challenges we have to navigate, like raising capital for the first time. But it’s all these things that keep us excited and energised. What are your future growth plans and how they will you continue to ensure LVLY remains innovative and relevant? 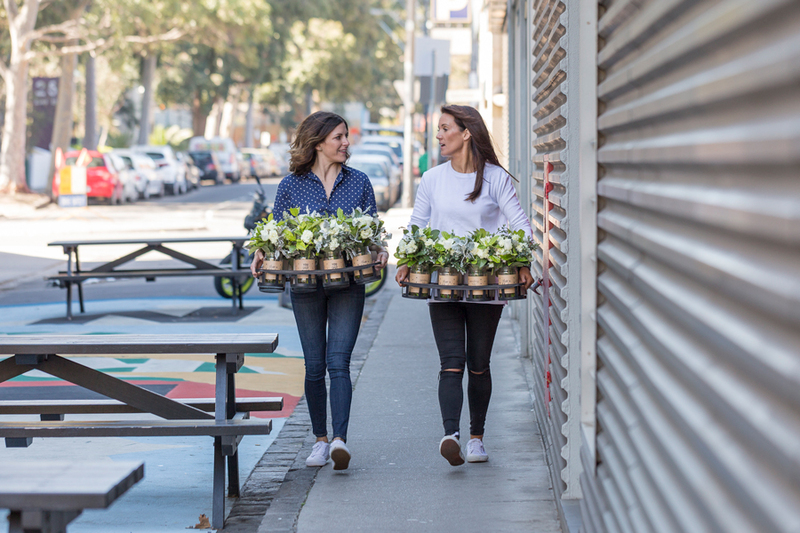 Our focus right now is to make LVLY a household name across Australia and we’ve got plans to extend our same-day delivery offering into other cities beyond Melbourne, Sydney and Brisbane. When it comes to being innovative and staying relevant I think the key is to never sit still, never stop adapting and never stop being curious about how to make things better and bigger. Most importantly we’ll never stop listening to our customers and taking note of what they’re interested in and what problems we can solve for them. I think a healthy dose of wanting to win also helps keep you innovative and relevant. You grew a successful business from 2 to 12 employees in just three years while balancing the demands of a young family, how did you do it?? It’s not easy, there’s been some stresses along the way! Juggling a business and having a baby is challenging and so called work-life balance is elusive at best. Having a business partner helps enormously; Verity and I have been able to lean on each other to keep the ship sailing when we each had our first baby. We’ve also got incredibly supportive husbands who have been our biggest cheerleaders every step of the way and are both very hands-on when it comes to sharing family responsibilities. From a practical perspective, Verity and I place a big emphasis on outcomes over hours. That means we’re clear about what outcomes we want to achieve by when and as long as we hit them it doesn’t matter when the work gets done. This means you’re not bound by conventional work hours. I’m often working late into the evening and over the weekend but I also spend every Friday with my son instead of being in the office. The beauty of running your own business is you can write your own rules. What workplace perks do you have for staff? We’ve always paid close attention to our culture and values which has helped create a very supportive and open work environment. We crowd sourced our company values with the team to make sure that we’re building a workplace they’re proud to be part of. We give everyone at LVLY a monthly free gift allowance and encourage them to send flowers to friends and family whenever they want. We’re big believers in the importance of retaining brilliant people by offering flexible work arrangements. Our first ever Melbourne employee now heads up our Sydney office which came about because she wanted to relocate so we helped make that happen. Our GM starts earlier/finishes earlier than the rest of the team to accommodate her recently moving out of the city. Our Merchandise Manager recently relocated to Adelaide with her husband and young son to be closer to her parents and she now works for us remotely on a part-time basis. We’re a national business so there’s no reason we can’t have national employees. Can you share some of the challenges you faced as female entrepreneurs in a male dominated economy? As a female founder you’re definitely outnumbered by the guys and you’re statistically less likely to get funding. Couple that with the fact that women typically minimise their achievements and often don’t recognise the true value of their experience and strengths. It’s a tough gig. 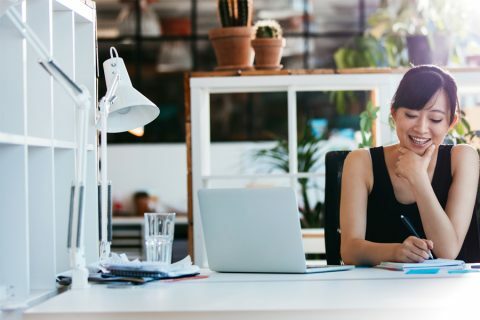 Having said that I actually think it’s a great time to be a female entrepreneur, there’s a sharp spotlight on the gender imbalance that exists when it comes to women on boards, women getting funding and women in CEO roles. Personally, I feel really energised about being able to help shift that imbalance and be part of the solution. You were one of the 8 Australian companies selected to participate in the Silicon Valley backed Springboard Program, can you share more about that, and how you felt being selected? 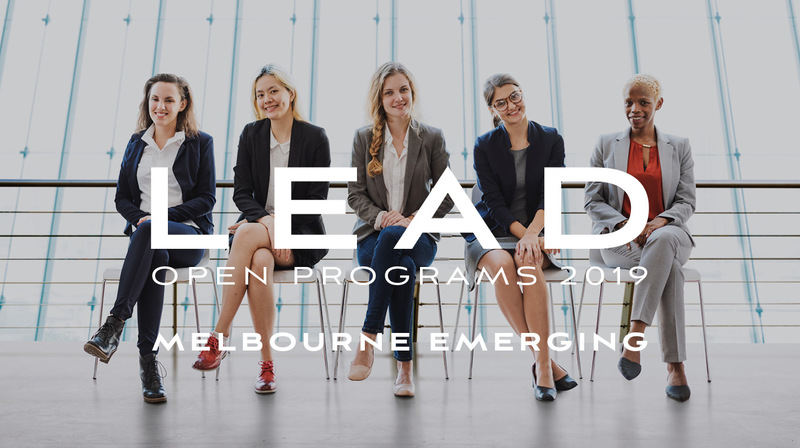 We are incredibly proud, it’s a massive endorsement to be selected as part of the 2019 Springboard Tech program. 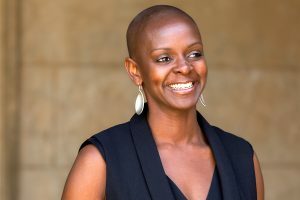 It’s an international program, focused on helping female founders grow and scale their businesses. The companies that have previously been through the Springboard programs have collectively raised nearly $8 billion in capital. It’s a powerhouse of a network to be part of and we’re excited to be entering a long term relationship with them. There was a rigorous selection process including a detailed business plan, financial information and a face-to-face pitch with an international team of judges. It was fun getting back into pitch mode, I had to do it all the time working in advertising. What’s your advice to women who want to start a business? Whether you succeed or fail, it will be the best career decision you ever make. 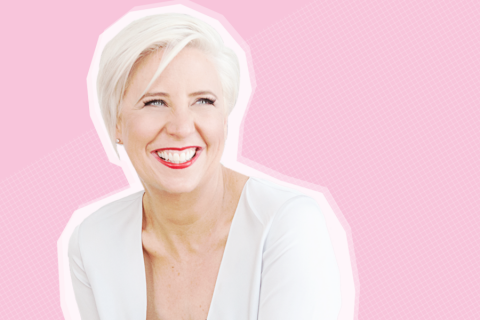 The lessons you learn running your own business make you infinitely more likely to succeed in the long term, whichever career path you end up following. I’d like to high-five Mark Bouris! I totally agree. There seems to be this perception that ‘start-ups’ are cool and everyone wants to be an entrepreneur but god forbid you should own a ‘small business’. It’s really demeaning and overlooks the fact that on the whole, small businesses employ more people, make more profit and last longer than startups. Nothing starts life as a big business, it takes time, mistakes and resilience to create a successful company and I have total respect for anyone who owns their own business. We must all be mad because there are far less stressful ways to make money! 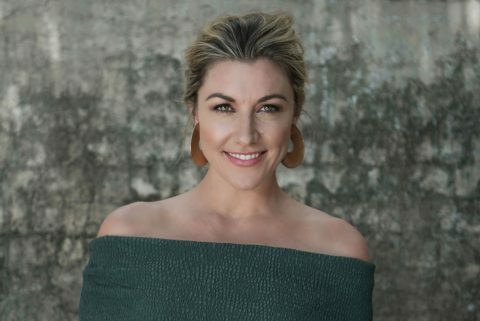 Connect with Hannah here, and follow LVLY on Instagram @hello_lvly and on Facebook under /hellolvly. Feeling stuck in your career and wondering what to do next? Your go-to guide on keeping it together at home and in the boardroom. 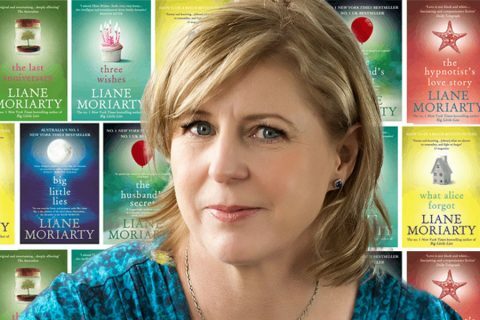 Last chance to meet bestselling author Liane Moriarty! Grab one of the last remaining tickets!